FEMINIST FRIDAY: OMG There Is A Forthcoming Series About Lady Parts Justice And We Can’t Deal!!!! Welcome to another Feminist Friday column! Our fave time of the week where we get to share a handful of videos we are crushing on right now with our readers, while also expanding and sharing our definition of feminism. This week’s it’s all about women in media and entertainment who are creating spaces and opportunities for women’s voices and stories. First up this week is an exciting documentary series about one of our fave reproductive rights organizations called Lady Parts Justice. From filmmaker Ruth Leitman, the series follows the LPJ team and its founder Lizz Winstead (a badass comedian who also happens to be the creator of ‘The Daily Show’) as they hit the road during the summer on one of their “Vagical Mystery Tours”. LPJ are known for their comedy, their fierce repro rights advocacy, support for progressive political candidates, and ongoing support of independent clinics across the country that provide safe and legal abortion, as many of these locations are often the target of anti-choice harassment, threats and intimidation. When LPJ visits, they bring comedians and celebrities with them to rally locals in support of these providers, and in the era of Trump/Pence when we are seeing an increased attack on repro rights from a policy standpoint, it’s even more crucial to have an organization like LPJ speaking up for the rights of pregnant people with a loud megaphone. 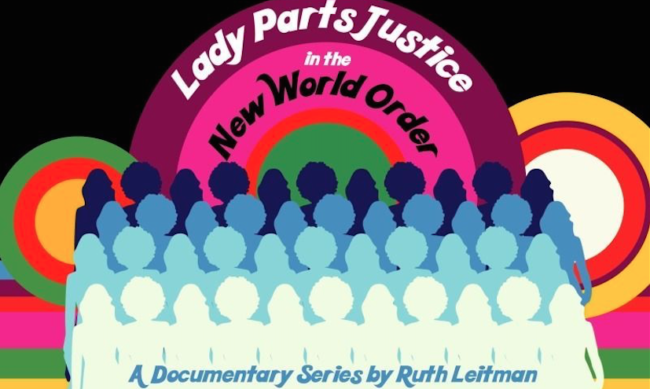 The ‘Lady Parts Justice in the New World Order’ series is raising money via GoFundMe and the director and her team need your help to finish production so they can get these episodes out into the world in time for the November mid-term elections. Watch the trailer below and head over to the fundraising page to be part of bringing these series to the masses! Our second highlighted video this week is a commercial from Pearle Vision, a chain of eye care stores in the US who have released a campaign that has a distinct female empowerment storyline. Normally we don’t like to tout every female empowerment commercial because there are many corporations, such as Burger King with their “Chick Fries” Pink Tax social experiment video, that blatantly appropriate feminist issues for profit, and it is important to distinguish between brands that care, and brands that don’t. In Pearle Vision’s video, we learn about a young girl named Olivia, whose parents discover she is having trouble with her eyesight in school and extra curricular activities. In her bedroom we see that she has been making a collage on her wall dedicated to female heroes from around the world and throughout history. Once her mom realizes she needs glasses and gets her fitted with a pair from a Pearle Vision store, the optometrist helps Olivia add to her collage by handing her a picture of tennis legend and gender equality champion Billie Jean King, who wore glasses on the court. The brand wants to take away stigma and stereotypes away from glasses by showing important women who have achieved success wearing eyeglasses. But the empowering aspect of the video extends behind the camera also. As BizJournals.com notes, the Energy BBDO team who were the creatives on this commercial were mostly women. Additionally, the director Elle Ginter was found through ongoing efforts through an organization called Free The Bid, started by a director who wanted to encourage ad agencies to look for directors outside of their usual scope, and employ more women. Here’s to more advertising that takes the female empowerment beyond just what is seen on screen. The final video this week comes from Disney Animation Studios and shows the beloved brand is really seeking to reshape the perception around the Disney Princess culture that they have been known for. Chief Creative Office of Walt Disney Animation Studios Jennifer Lee, who was recently appointed as John Lasseter’s replacement as he stepped down in the wake of sexual harassment allegations, helped launch their Dream Big campaign, which is all about a dramatic shift in the way fans see their Princesses and female characters. The way they are doing this is by working with 21 up-and-coming female filmmakers from around the world to produce digital shorts that tell the story of inspiring women. It is a 2 year program that will see filmmakers paired up with inspiring female interview subjects, one of them being Jennifer Lee herself who is an Academy Award-winning director for the cult Disney hit ‘Frozen’. She is the first female director of a Walt Disney Animation Studios feature film and the first female director of a feature film that earned more than $1 billion in gross box office revenue. As part of the Dream Big campaign, Disney will distribute the short films through their various global media platforms, and also donate up to $1million to the the United Nations Foundation’s Girl Up organization. This is a smart move for Disney, and given their undeniable impact on generations of young girls around the world, we hope this is the start of a new direction for the studio.